This is a Family Vacation You'll Never Forget! Families or groups who want an all-inclusive stay by the beach and adventures near the mountain. You’re on a family trip; the idea is to have some fun and enjoy each other’s company in a tropical paradise. The last thing you want is to worry about where to eat and what to do. 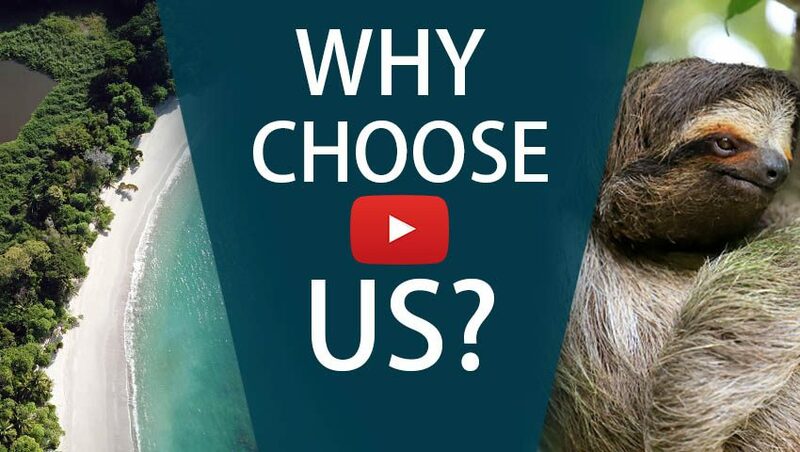 That’s why this all-inclusive family vacation is perfect for you! Start the adventure at the Adventure Capital of Costa Rica: the Arenal area. Your destination is The Springs Resort, located just off La Fortuna town. This property is surrounded by well-kept gardens and lush forests and has an on-site activity club. Admire the stunning views of the nearby Arenal Volcano and relax in the hotel’s on-site hot springs pools. This is also the place for an action-packed experience. Go on a tram & zip lining tour to discover the wonders of Costa Rica’s nature. Spot wildlife and awe at the greenery around you. This is an ideal activity for the whole family to create life-lasting memories! Stay at Planet Hollywood, one of the country’s only themed hotels where you never need to reach for your wallet. Enjoy gourmet meals, tropical cocktails, and countless activities. Kids will have plenty to keep them entertained with the Kids’ Club, swimming pool, and nightly entertainment. With two area tours included, you won’t need to worry about what to plan, either. This should be the most effortless vacation if you really want to treat the family. The suites will give your family plenty of room to spread out and unwind after the day’s adventures. The best part is the picturesque Manzanillo beach is just steps away. Situated right on the beach you can enjoy a dip in the calm waters of Papagayo Bay, or just relax by the pools. This vacation has something for everyone and will no doubt be a memory maker! What’s included in ‘A Family Treat’? 4 nights at The Springs Resort—Breakfast included. 4 nights at Planet Hollywood—All meals, drinks, and snacks included. Private shuttle from the Liberia International Airport to The Springs Resort (app. 2.5 hours). Round trip to and from the tram & zip lining tour. Private ground transfer from Arenal The Springs Resort to Planet Hollywood (app. 3 hours). Round trip to and from the guided snorkeling tour. Round trip to and from horseback riding tour. Private ground transfer from Planet Hollywood to the Liberia International Airport (app. 40 minutes). Tram & zip lining tour. Touch down in the Liberia Airport in Guanacaste, where one of our representatives shows you to a private transfer that takes you to The Springs Resort, a hotel on the skirts of Arenal Volcano. The scenic route is great to appreciate the vegetation of Costa Rica, its mountains and skies. If you want to stop to take photos or buy something, simply tell your driver. Check into the hotel and relax with some of its amazing views of the volcano and the surrounding forest. Arenal is one of Costa Rica’s most famous locations. Explore the extensive hot springs of this unique hotel and its gardens to spot hummingbirds and butterflies. The property also has an on-site adventure club, where you can try out river tubing, horseback riding or visit an animal rescue center and spend some quality time together in the afternoon before dinner. There is a reason why Arenal is known as the Adventure Capital of Costa Rica. For action-packed activities, Arenal is the best. This day is for the whole group to experience thrills in a tram and zip lining tour. First hop on a tram to explore the forest canopy in a calm journey to spot wildlife. Then slide from treetop to treetop in a rush of adrenaline. Keep your eyes open in case a sloth appears, and make sure of asking for photos as you glide through the forest. After a day full of thrills, it’s important to rest a little. Go to the spa for a rejuvenating treatment, or stay in your room for a decompressing session in the Jacuzzi. Be sure to taste the two restaurants at the hotel as well, with their delicious lunches and dinners with international dishes and Costa Rican twists. It’s time for an extra treat, and there are few places like Guanacaste. A private shuttle takes you all the way to Papagayo Bay, where Planet Hollywood is located. Enjoy your beachfront and all-inclusive vacation at this hotel. Try out their various restaurants and snack bars, or relax sipping a cocktail by the pool while the kids check out what’s happening at the Kids’ Club. Make sure and take advantage of the nightly entertainment offered on-site! Time to head back to the beach. Today you will enjoy the animals found below the waves on a snorkeling tour. Keep your eyes open for animals like puffer fish, parrot fish, angelfish, octopus, eels, rays, and even the occasional turtle. After a day exploring the seas, it’s time to discover the wonders of the land. Leave the resort this day to go on a horseback riding tour. Gallop or trot along farm fields, canyons or forests. 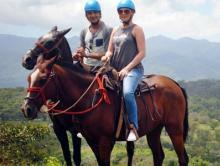 It’s a great activity for both expert and beginner riders, so the whole family can enjoy the trip as they discover Guanacaste on a horse. Spot as much flora and fauna and make a competition to see which one sees more! Relax and enjoy the sun, sea, and sand at one of Costa Rica’s calmest seas. Stay at the hotel to take part in activities like dancing and yoga lessons. Head to the beach where you can sunbathe, go kayaking, or practice stand-up paddle boarding. 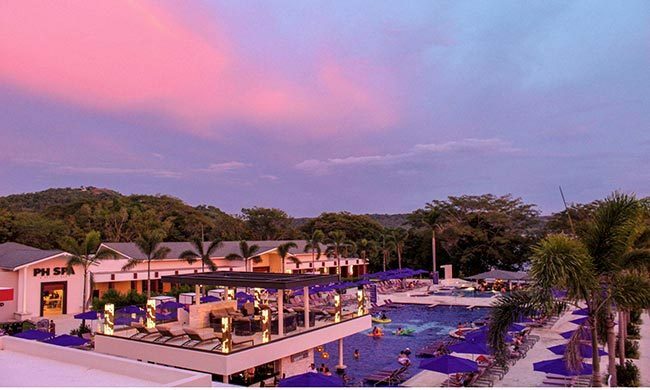 The pools and clubs are also a good way of spending your last night in Costa Rica. Make sure to try out all the on-site amenities before the day is over! Your all-inclusive family vacation comes to an end. A private transfer takes you to the Liberia International Airport where you will catch your flight back home. It’s goodbye for now, but forever! Costa Rica will be happy to welcome you back any time. Enjoy world-class amenities, excellent specialty restaurants, and amazing views of the ocean in this all-inclusive resort. Experience the luxury of Hollywood surrounded by lush Costa Rican tropical forests.